So, I'm a big mermaid fan, like pretending to be Ariel when I was younger, still secretly wishing I could explore an underwater world and dance with the fishes fan. And mermaid books and I have been having our ups and downs. 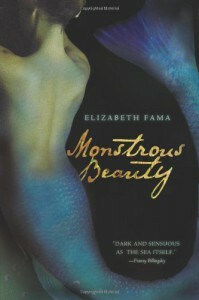 But I'd heard great things about Monstrous Beauty, so I went in expecting to at least be entertained. And I don't know what went wrong, but somewhere along the lines it did. I'm not sure if it was just bad timing, but I never fully connected to this story. I was pretty annoyed by the first chapter, in which the mermaid fell in love with a young man and then 'forgot' he couldn't breathe underwater. 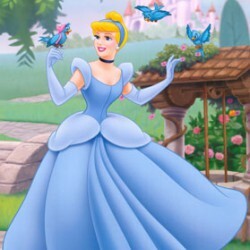 So instead of living happily ever after with each other, he drowns within minutes of meeting her for the first time. Yeah, that kinda put me off a bit. I mean, HOW did she forget it and not notice her 'true love' was suffocating?? SERIOUSLY?? Ok. Enough about that rocky start. After this we meet Hester, a girl who's sworn off love because all the women in her family die within days of having a baby girl. She's pining after her friend Peter, who by the way is a great guy. The POV switches between Hester and Syrenka, the mermaid from the first chapter. The constant switches may be what made me fail to connect to either of these characters, I get why it was done story-wise, but for me as a reader it didn't work. I kinda disliked that Hester, who was secretly pining for Peter, who was in turn secretly pining for her, fell for Ezra instantly. I do think there's excellent reasoning for this in the end, but well, I felt bad for Peter. I also didn't like that as soon as Ezra entered the story, everyone else seemed to vanish to the background. At first we got to know Hester's family and friends a bit, but after meeting Ezra, she really doesn't spend much time with them anymore, or at least not 'on screen'. I think the main problem was that I was never all that excited about reading Monstrous Beauty. I could easily put it down and then not pick it up until the next day. It wasn't that it was badly written, I didn't have serious problems with things that happened in the story, but it just didn't work for me like I know it did for other people. I did like that it showed a MUCH darker side of mermaids than what I'm used to and I liked that Elizabeth Fama wasn't afraid to show us the gory stuff as well. I just felt that everything was a little superficial, there was just something missing for me.